Develops sustainment organizational and force structure requirements for the following functions: maintenance, ammunition supply, and EOD, supply distribution; retrograde; petroleum supply and services; water purification and distribution; MA; aerial delivery; field services; force provider logistics support to the Soldier, motor transport operations, Army watercraft, movement control, rail operations, and terminal operations. Serves as the CASCOM lead in the development of force designs and force structure requirements for multifunctional logistics organizations (Supply Requirements Code 63 Table of Organization and Equipment (TOE)) within the operational Army. 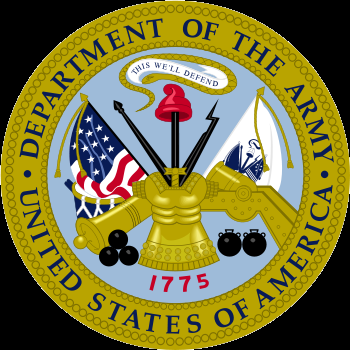 Serves as the Army lead for sustainment planning data and provides staff management for the collection, validation, maintenance, and dissemination of Army sustainment planning factors, consumption rates, and data. (1) Designs and integrates all lead and multifunctional unit designs, force structure, and TOE documentation actions to include the development of quantitative and qualitative Rules of Allocation for TOEs. (2) Identifies organizational and force structure solutions to resolve or mitigate gaps in sustainment capability. (3) Provides analysis and data to ARCIC concerning force structure and integration through the Total Army Analysis (TAA) and force design update (FDU) processes. (4) Supports HQDA sponsored documentation assistance and review team (DART) actions. (5) Develops sustainment TOE and manpower requirements for the U.S. Army Force Management Support Agency (USAFMSA) validation and approval. Reviews Manpower Requirements Criteria (MARC) schedules, questionnaires, and revision documents for functional adequacy. (6) Collects, validates, maintains, and disseminates Army sustainment planning factors, consumption rates, and data. (7) Provides input to the ARCIC Force Design Division recommending changes to AR 220-1, Army Unit Status Reporting and Force Registration – Consolidated Policies, for current and future force sustainment organizations. (8) The single manager in TRADOC for validating the form, fit and function applicability of tactical wheeled vehicles in Army Force Structure Requirement Documents, in support of Capabilities Developers. Validates TWV requests through the DA TOE Organizational Requirements Documentation Approval Briefings and TDA Equipment Review and Validation Board. Conduct tactical wheeled vehicle requirements analysis/mobility studies to support tactical wheeled vehicle modernization and force structure decisions.